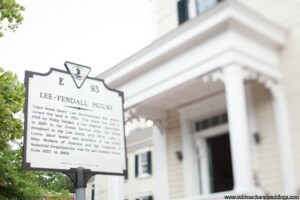 The Lee-Fendall House Museum and Garden is located in the heart of the Historic District of Old Town Alexandria, Virginia. The large white clapboard house is situated on historic Lee Corner, at the junction of North Washington and Oronoco Streets, in the neighborhood of several former Lee family homes of the 18th and 19th centuries. Wednesday – Saturday – 10:00 a.m. to 4:00 p.m.
Tours are offered at the top of each hour. The final tour of the day begins at 3 p.m. The house is accessible only by guided tour except during certain special events. Tour length is approximately 45 minutes. We are occasionally closed during posted museum hours for special events or private functions. Please check our Calendar of Events before you plan your visit. We are occasionally unable to offer our regularly scheduled tours due to staff training, group tour reservations, or due to unforeseen circumstances. Visitors are encouraged to call ahead to confirm that the museum is open. The museum does accept advance tour reservations for groups of 10 adults or more; payment in advance is required. Check our Group Tours page for more information. The Garden is free and open to the public during the museum’s normal hours. Please enter through the gate on N. Washington Street. Click here for driving directions to the site. We are within walking distance of the Braddock Road Metro Station (0.8 miles) and the King Street Station (1 mile). *IMPORTANT* Please note that all Alexandria Metro stations will be closed during the summer of 2019 (Memorial Day through Labor Day). Alternate transit information can be found here. DASH / Metro bus routes that serve our location from Braddock Road Metro station: 10A or 10B, 9A, and At8. There is a bus stop at Washington and Oronoco Streets for the 10A/10B Northbound toward Pentagon, the 9A and the At8; and Washington and Princess Streets for the 10A/10B Southbound toward Hunting Point. Click here for the 10A/10B schedule and here for the 9A schedule. 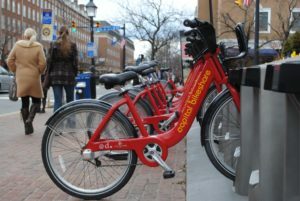 The DC Metro region contains a network of nearly 400 automated bicycle rental stations for residents and visitors through the Capital Bikeshare system. Bicycles rented from one station may be returned to any station within the system. 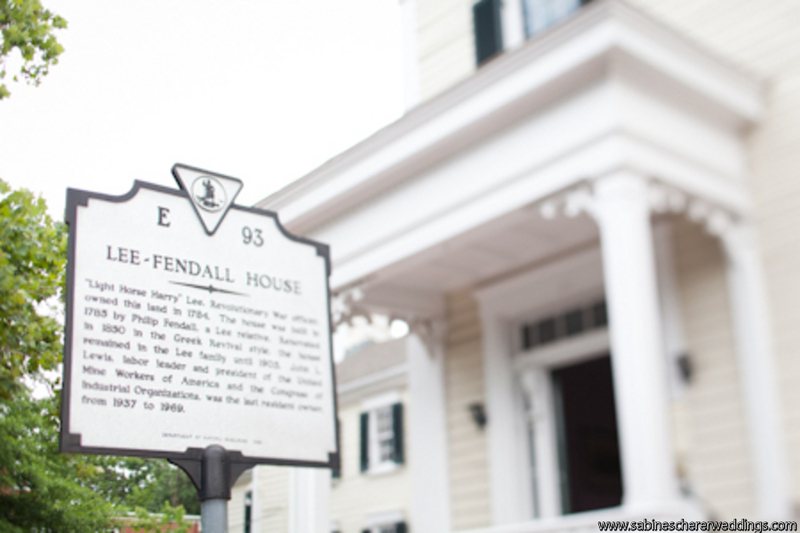 The Lee-Fendall House is only two blocks away from the Capital Bikeshare station at St Asaph and Pendleton streets. 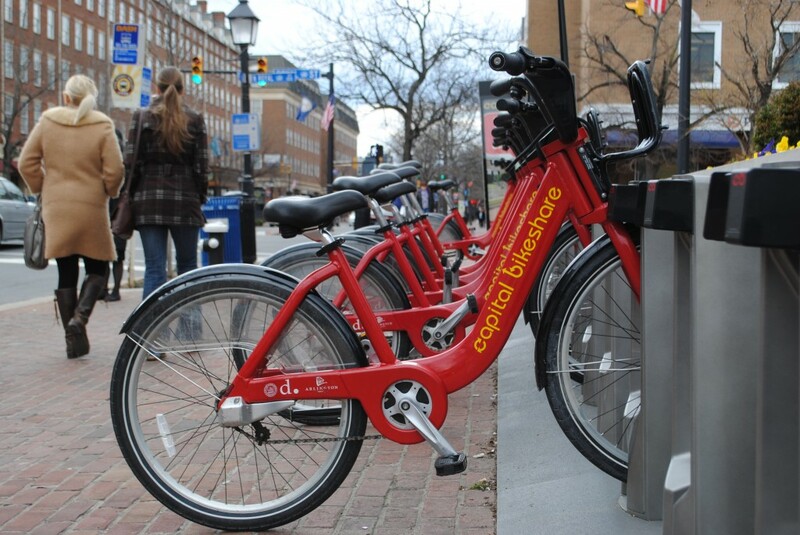 For more information, visit Alexandria’s Capital Bikeshare page. The museum has capacity for 5 vehicles in its bricked parking area on Oronoco Street. Street parking is free on Oronoco Street but is limited to two hours on weekdays. The closest parking lot is at the intersection of St. Asaph and Cameron Streets. Bus and motorcoach parking is limited in the Old Town area. For more information about motorcoach parking, and pick-up and drop off zones, please follow this link to the City of Alexandria’s Motorcoach Information page. Entry to the Lee-Fendall House Museum requires negotiating a minimum of eight steps. The Garden is accessible to wheelchairs and strollers. The Board of Directors and staff of the Lee-Fendall House Museum & Garden are committed to developing solutions to provide all visitors equal access to its facilities, programs, events, and activities. The following schedule for developing a plan to remove barriers to equal access has been approved by the Board of Directors. For questions or concerns regarding accessibility, please contact John Christiansen, Executive Director, at (703) 540-4321 or at jchristiansen@leefendallhouse.org.